Please enter your email address in the box below and click "Subscribe". 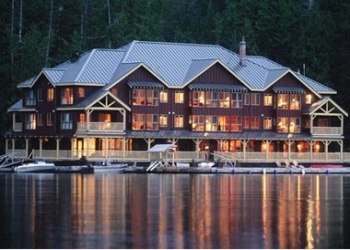 PRINCESS ROYAL ISLAND, British Columbia, Canada - King Pacific Lodge, A Rosewood Resort, was named the world's number one wilderness lodge for 2006 by prestigious Andrew Harper's Hideaway Report. The publication's annual "Hideaways of the Year" awards single out the world's most captivating hideaway hotels and resorts for special recognition. 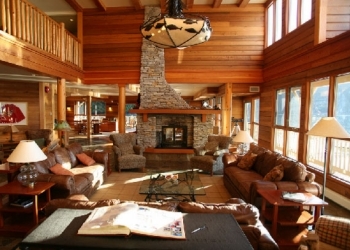 In the Special Awards category, King Pacific Lodge was named "Wilderness Lodge of the Year." The awards are based on a combination of property evaluations and firsthand guest experiences by Hideaway Report readers. The publications' readers are sophisticated and discriminating frequent travelers, about 85 percent with the title of President, CEO, Owner or Partner, and 90 percent having traveled outside the U.S. for business and leisure during the past 12 months. The variety of awards given out annually by the Hideaway Report are among the oldest in the travel industry and widely considered among the most consistent, reliable and respected. 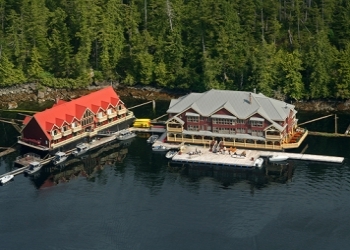 King Pacific Lodge is a one-of-a-kind luxury floating wilderness lodge anchored in a sheltered harbor along the shores of Princess Royal Island in the Great Bear Rainforest of British Columbia. Guests enjoy interpretative hikes, sea kayaking, beach combing, heli-hiking, whale watching, wildlife viewing, star gazing, floatplane tours, fly-tying instruction, cultural tours with the indigenous Gitga'at, searches to view the rare cream-colored 'Spirit Bear,' saltwater trolling, fly-fishing and remote freshwater heli fly-fishing. Guests return from the activities to their beautifully appointed, comfortable accommodations and gourmet meals paired with award-winning wines. 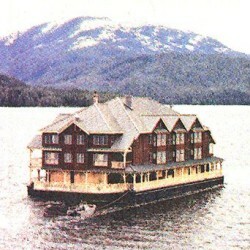 King Pacific Lodge has 17 rooms and suites and is open from May through October. 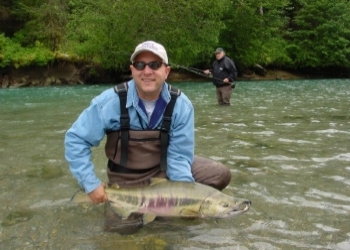 For more information and reservations, contact King Pacific Lodge at 888.592.5464, or visit the web site at www.kingpacificlodge.com. �2017 OddInns.com All Rights Reserved.